This was one of those books that almost felt like it had been written, if not about me, about someone like me. Melissa is an introvert (check) and a William and Mary graduate (check!) at a point in her life where things drastically change (sort of check...at least back when I was Melissa's age). Because of this, and the fact that this book has a second-change love story in it (I'm a sucker for those), I was quickly sucked into it. I did like Melissa as a character but I will admit that there were times that I really wanted to whack some sense into her. I understood her timidity and I think that Handford used that in a realistic way, but I still felt like she really should have gotten a jump on her life sooner. To be fair, I don't think that was a characterization issue as much as it was a pacing issue. I felt that the book was a little to involved in the first half, while I would have liked a little more depth in the second. 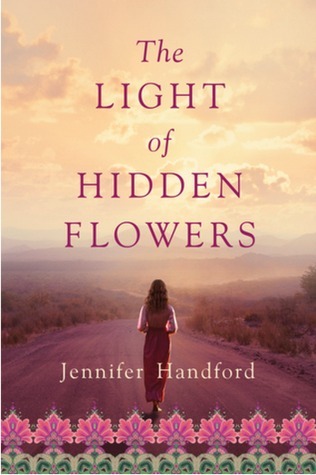 There is a definite Eat, Pray, Love vibe to this book and I think that readers who enjoyed that will enjoy this. I'll be honest and say that I despised Eat, Pray, Love with pretty much every fiber of my being, but the ways in which this book is similar were not the things that turned me off that book, which is fortunate. I did find some of the plot developments just a bit too convenient to actually buy. I wish that Handford would not have had the stars align quite so easily for Melissa in her own "hero's journey." I did like Melissa's relationship with Joe and I found it mostly believably (there was something rather major in the last third or so of the book which I had more than a little trouble buying). 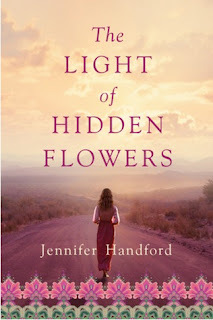 One thing that Handford did, though, that I found distracting was that she would insert chapters from Joe's point of view, but at irregular intervals. I don't mind dual-narrative books, when done well, but this one was just strange. In short, this wasn't a perfect book for me. Yet, I still enjoyed the story and the characters. It's probably a little lighter than the subject matter requires, but I'd still recommend it for someone looking for a book about a woman finding her life's calling. I received a copy of this book in return for an honest review, as well as one to giveaway. I received no other compensation for this post. Many Thanks to Lake Union Publishing for sending me not only an Advanced Reader's Copy of this book, but also a finished hardcover to giveaway! This giveaway runs until 11:59pm (Pacific Time) on 12/31/2015 and is open to readers in the United States. Please fill out the rafflecopter form below to enter.